I often think skies can really make a black and white landscpape image appealing. 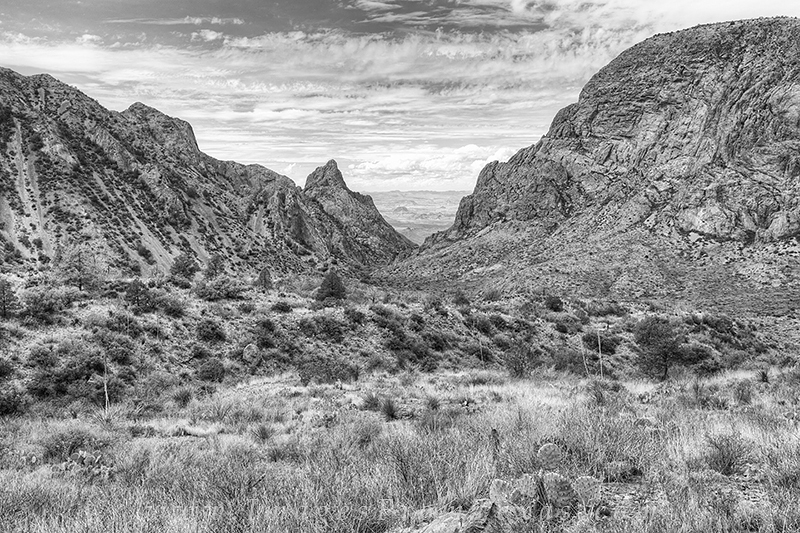 In this view of the Window at Big Bend National Park, the afternoon clouds were what attracted me to this often-taken location. Photo © copyright by Rob Greebon.